Eating with purpose, paying attention to eating, recognizing hunger and satiety; all of these help define mindful eating. The Eat Smart, Move More, Weigh Less research in Current Obesity Reports, and then in The Washington Post, established that mindful eating is a powerful tool to help us eat healthy and manage weight. But how do we go from a fast-paced, eat what is in front of you, lifestyle to one that incorporates mindful eating into each eating event? Our team is here to help with 12 Steps to Mindful Eating. Incorporating these steps to mindful eating into your life can have transformative results. Give it a try – you’ll be glad you did. Ready to start eating mindfully? 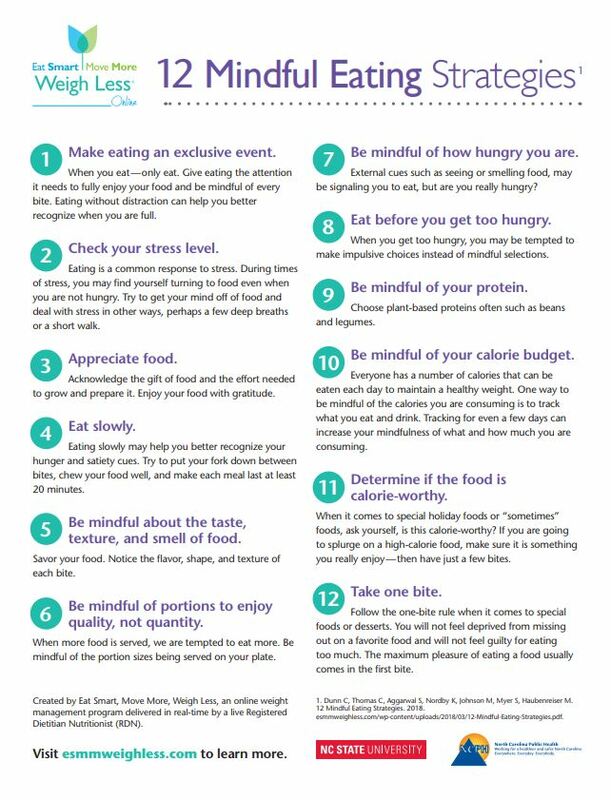 Download our free 12 Steps to Mindful Eating to get started. Please enter your information below to access the 12 Mindful Eating Strategies. 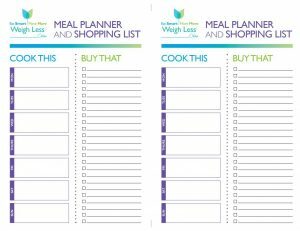 Please enter your information below to access the Cook This Buy That Meal Planner.